I love what you did with your Deco Board 🙂 It turned out so cute! 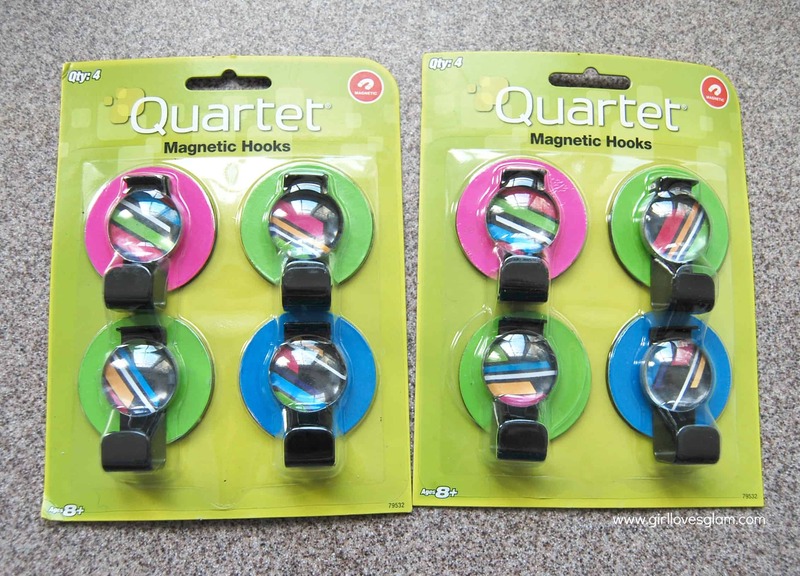 I cant wait to receive mine so I can make something fun too! Dang girl! YOu have a lot of great jewelry! Oh man! A girl out for my heart! I love me some organization! This is just so darling! Love all your necklaces! Love this idea! Those hooks are perfect..will have to keep my eye out for them. My teen sooo needs this! This is such a fabulous idea! I would love for you to share this on my weekly link party Blog Stalking Thursday. Thanks for the inspiration! This is so clever! I pinned and hope to share on my FB page this week. Just wanted to get your okay if I use a photo and link back to you on my FB page? Thank you! I welcome any shares as long as it links back to me. Thank you! I know you already saw the feature today, but I just wanted to stop by to say thanks for the inspiration. 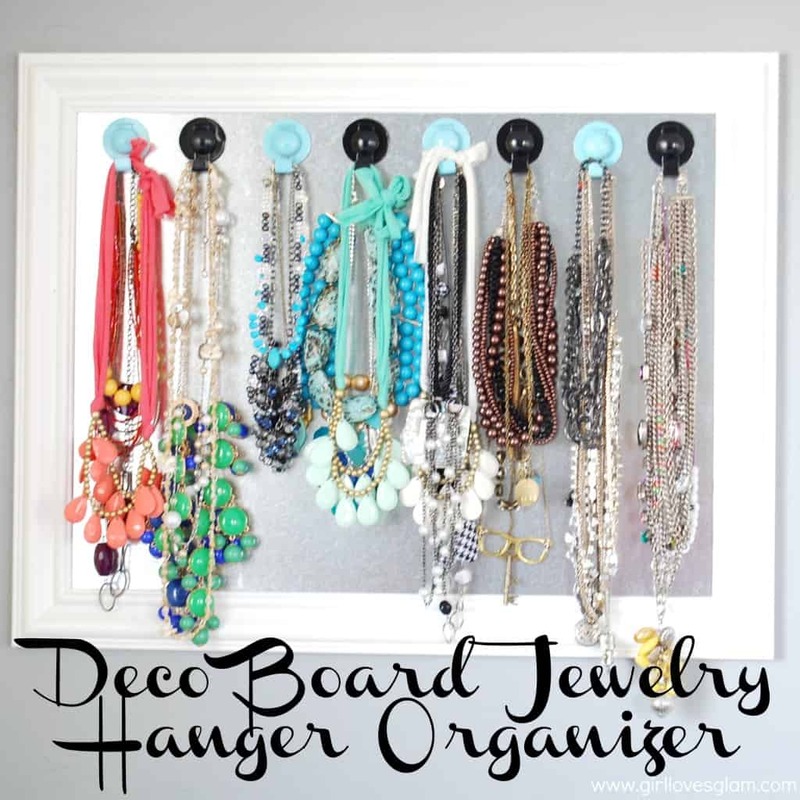 I’m really in love with your deco board…plus all your rockin’ necklaces. 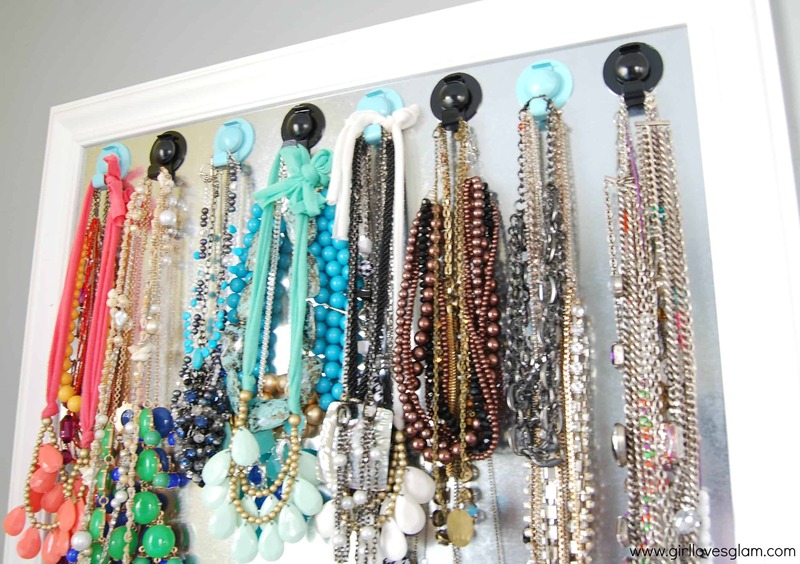 They are such an awesome addition to my round-up of 25 Creative Solutions to Necklace Organization. Love your idea and it doesn’t require too many tools! Are the magnets strong enough to hold up the large necklaces without doing anything extra? If so, I’m hoping they are still available and I will attempt this project tomorrow. Yes they are! I was actually kind of surprised at how well they do!